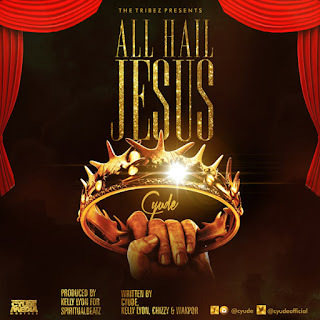 Cyude with another great song titled: "ALL HAIL JESUS" is one of the fast rising gospel artistes in Nigeria and abroad. He is a member of the Believers Loveworld Incorporated popularly called Christ Embassy and a vital member of the group called the BLW RAP NATION. Cyude returns once again with this fresh new song, this time stronger and better “ALL HAIL JESUS” Listen and be blessed.